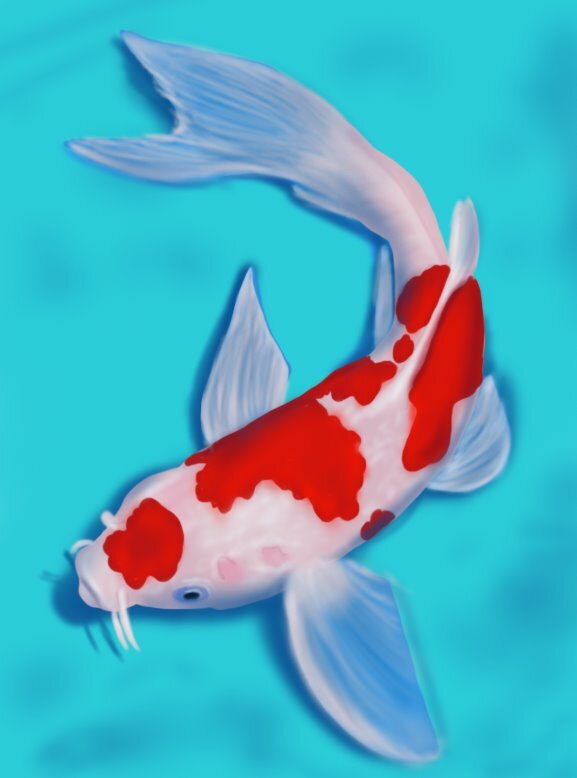 Koi Fish belongs tot he C. carpio specie. 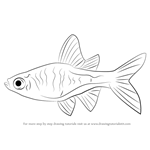 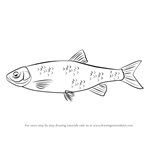 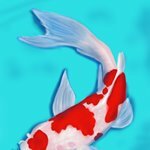 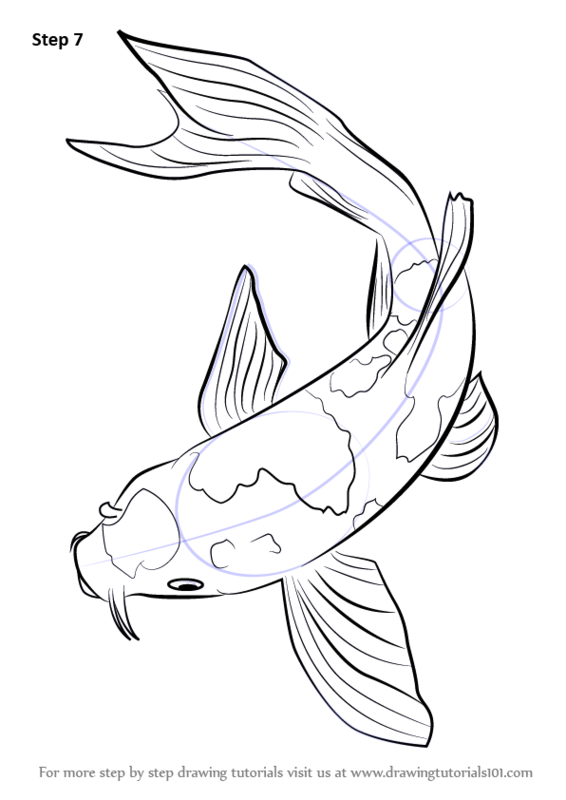 In this tutorial, we will draw Koi Fish. 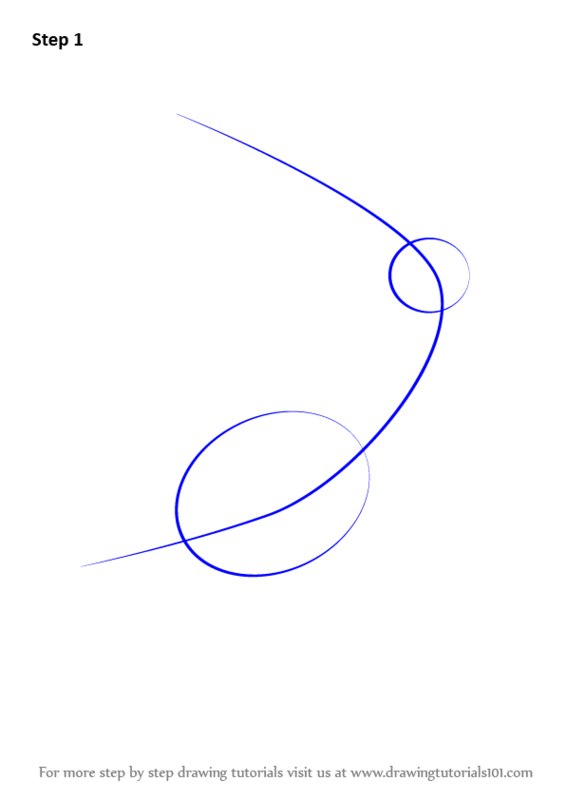 Start the tutorial work by drawing a circle, an oval & a curve line. 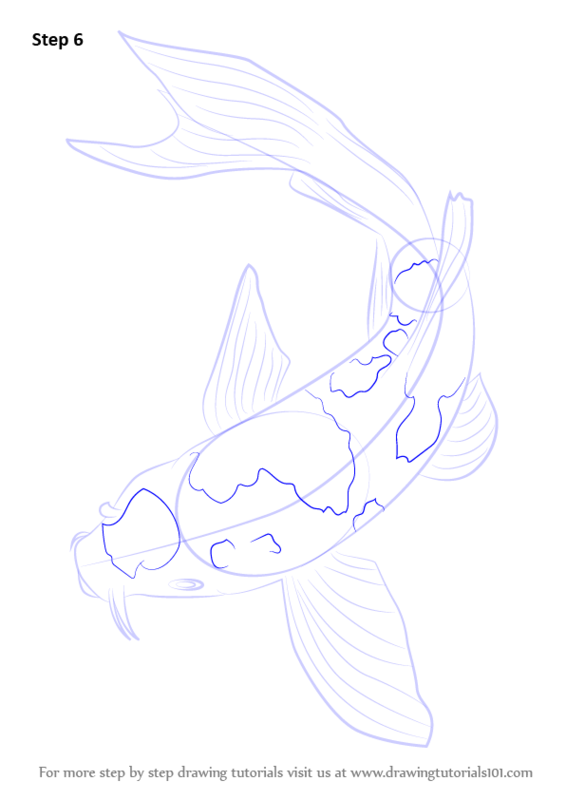 Draw outline for head & eyes. 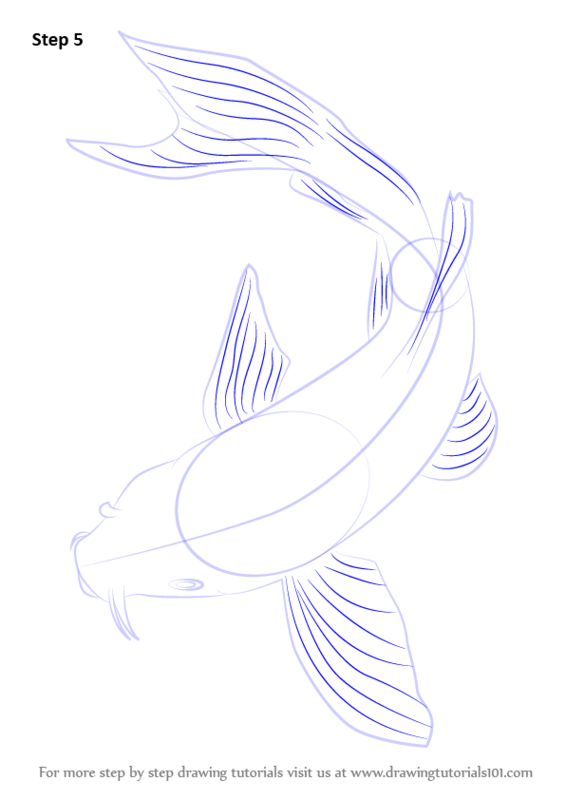 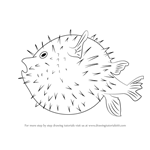 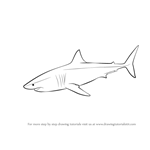 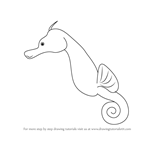 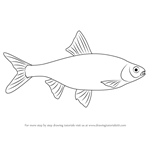 Make outline for body & draw fins. 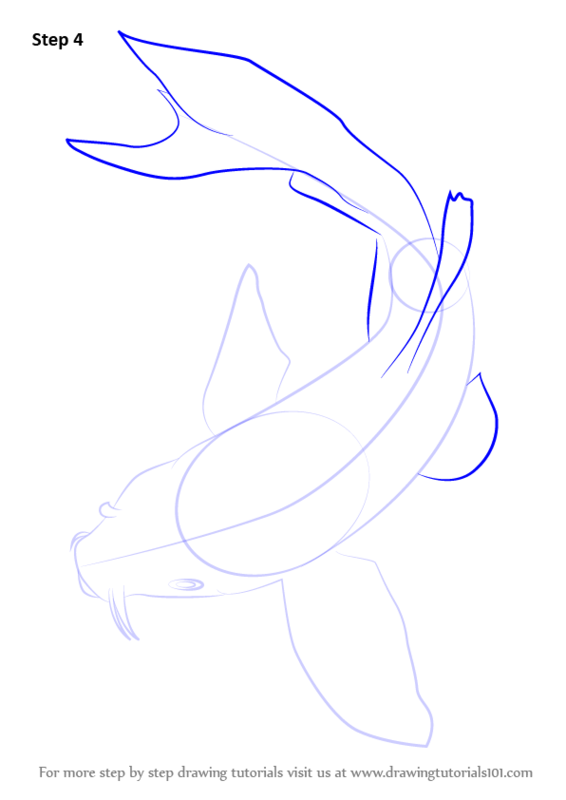 Make tail & lower side fins. 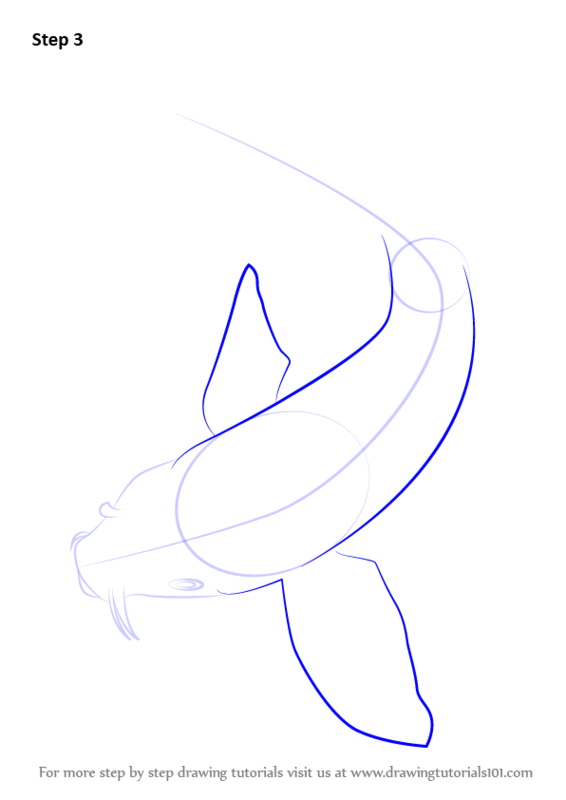 Make lines over the tail and over the fins as shown. 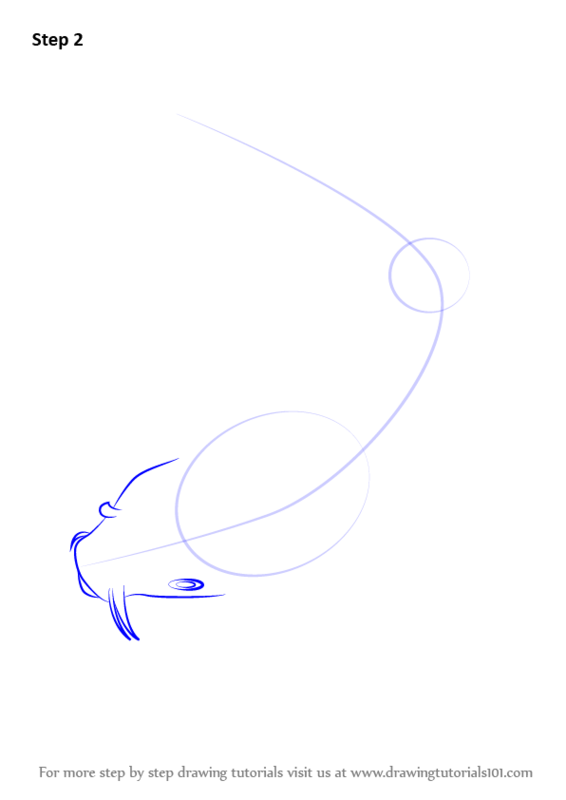 Draw skin texture shape as shown.